The 17-year-old boy told the BBC that members of ISIS showed him how to wear an explosive vest, and how to hold his thumb on the trigger. “They promised me I’d go straight to Heaven,” he explained. 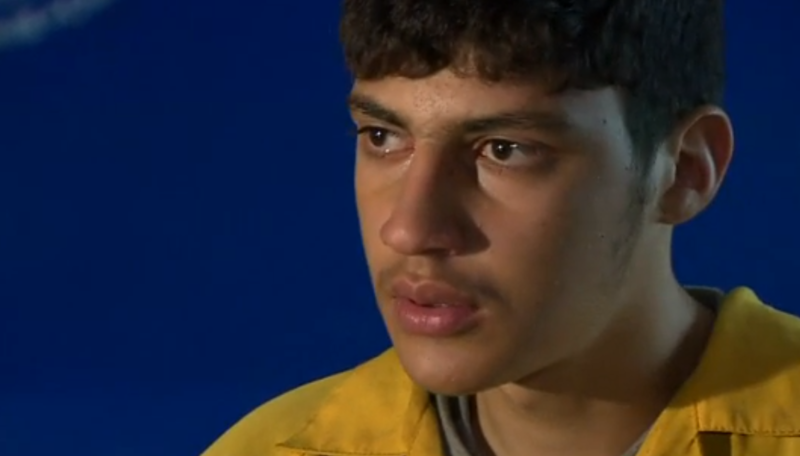 The teenager said that many of those recruited to join ISIS are youth. “And you were fully prepared to kill women and children, as well as men?” asked BBC reporter John Simpson. “Yes, sir,” the boy replied, his eyes then filling with tears. “Why are you crying?” Simpson asked. “Because I am so sorry for this,” the teen answered. “You are ashamed of what you were going to do?” Simpson inquired. As previously reported, VICE News released a video last year showing that ISIS was grooming children to fight jihad for Allah in order to build the Islamic State. The video is a segment from a five-part series on “The Battle for Iraq” and features interviews with Islamic fighters and others about their desire to establish a Muslim caliphate in Iraq and Syria—and in the United States of America. “What do you want to be? A jihadist or to execute a martyrdom operation?” Abdullah Al-Belgian of Belgium asks his young son Abdullah. “A jihadist,” he answers. “Who do you fight with?” filmmaker Medyan Dairieh asks another child featured in the documentary. “The Islamic State,” the boy answers. “Where are you going after Ramadan?” Dairieh inquires. “To the camp … to have training,” the child replies. “What are you going to do after?” Dairieh asks. “Fight the Russians [and] Americans. The infidels,” the boy states. One man explains that children are trained in Islam and Muslim warfare in various camps until they are old enough to join the jihad fighters.